Save on maintenance costs by choosing products designed for simple, do-it-yourself replacement. 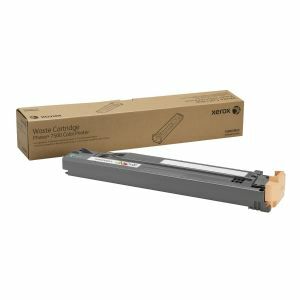 Reliable, durably-constructed waste cartridge is engineered and built by the original equipment manufacturer specifically for use with Phaser� printers, making every aspect of installation and operation completely hassle-free. Once installed, it always delivers flawless, uninterrupted printing performance.